Matt Capstraw - The Marks Law Firm, P.A. Matt is a seasoned divorce attorney having practiced family law for over 18 years, and tried cases in Orange, Seminole and Lake Counties, as well as in every level of the appellate court including the Florida Supreme Court. Matt’s extensive knowledge of family laws and rules and his ability to apply that knowledge in the courtroom aids his clients in receiving more favorable judgments. Matt will confidently and assertively represent you with your case. For clients who need legal advice, but cannot afford to retain an attorney, Matt can explain where you are in the legal process and steps that you can take to protect your interests. Clients can come in for consultations by the hour, or as needed. Matt is Collaboratively Trained and has been certified by the Florida Supreme Court as a Mediator in both Family Law and Dependency Actions. As part of Matt’s involvement with the Family Law Section of the Florida Bar and the Family Law Rules Committee, he was given the opportunity to contribute to the creation of Florida’s Collaborative Process Act, Florida’s Parenting Coordination Statute, Florida Statute 61.13002, as well as the creation or modification of several Florida Family Rules of Procedure and Florida Family Law Forms. 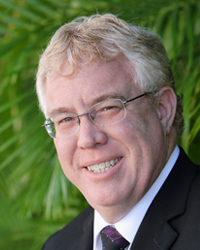 Outside of practicing family law, Matt has participated in several professional organizations including the Florida Bar Family Rules Committee, the Family Law Section of the Florida Bar, the Florida Orange County Bar Association, The Central Florida Family Law Inn of Court, and the Florida Bar Association. When Matt is not counseling clients, he enjoys playing various board and video games, cooking, and spending time with his wife and children on their family hobby farm.